On the remote Isle of Harris in Scotland's Outer Hebrides, a man washes up on a deserted beach, hypothermic and completely disoriented. He has no idea who he is or how he got there. The only clue to his condition is a map of the island showing a desolate, ancient path called the Coffin Road. With a sense of dread and no clear idea what lies at the other end, he knows he must follow the trail if he has any hope of discovering his identity. Meanwhile, homicide detective George Gunn makes the rough ocean crossing to a remote, sea-battered lighthouse on a rock in the northern Atlantic, twenty miles west of the Outer Hebrides, to investigate a brutal murder. Despite its isolation, the tiny island has seen its share of tragedy: more than a century earlier, three lighthouse keepers disappeared, never to be seen or heard from again. And now there is a new tragedy, and Gunn must figure out what happened. 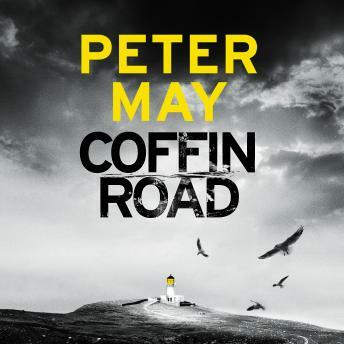 At the same time, a teenage girl lies in her Edinburgh bedroom, desperate to discover the truth about her father's death. Two years after the discovery of the pioneering scientist's suicide note, Karen Fleming still cannot accept that her father would willingly abandon her. And the more she discovers about the nature of his research, the more she suspects that suicide had nothing to do with it.